lone fight against corruption in the Philippine Army at GAO April 29. The program, cosponsored by SPEL and GAO’s Asian American Liaison Group, took place before a large audience in the Staats briefing room and was broadcast to the field via GAOTV. funds by a high military official. that there would be no report. In protest, Mendoza resigned from the COA in 2006. She later testified at a series of hearings held from 2007 to 2009 in the plunder case against the general. The hearings received little public attention or coverage in the press. But when the government reached a plea bargain with Gen. Garcia, reducing the charges and sweeping the incident under the rug, Mendoza decided to go public with her story—at the risk of losing her current position with the Asian Development Bank and putting her family in danger. She gave television interviews and testified at a lengthy series of hearings before the congressional Committee on Justice. Her story finally gained public attention and she became a folk hero for her valor in her fight against corruption at the highest levels of the army. “I risked my life, my entire family and my career simply because I would like to tell my fellow Filipinos and to all others here and abroad: Not all government employees are thieves, not all Filipinos are afraid to speak out against corruption,” she told a television interview. If you want, dream for, an honest government, there is no way but to work hard for it,” she told her GAO audience. As a newly appointed commissioner on COA, she will have an opportunity to continue her fight. WASHINGTON, DC—Bond paper purchases worth P800 million at the Armed Forces of the Philippines, Mongol pencils overpriced 5,000 times at a city hospital and P25 million in government funds diverted for the wedding expenses of a governor's child that took 16 years to prosecute.These are some of the unbelievable facets of corruption in the Philippines that whistleblower Heidi Mendoza encountered in the course of her job as a no-nonsense state auditor. Speaking before a World Bank-sponsored forum on "Effective Auditing as the Bane of Grand Corruption: A Tale from the Front Lines," Mendoza highlighted how corruption deprives people of their rightful share of scarce public resources. Joining her in the panel was former journalist Sheila Coronel, Columbia University professor on investigative journalism, and former executive director of the Philippine Center of Investigative Journalism; and Rick Messick, a senior operations officer of the WB Department of Institutional Integrity, which assists corruption fighters in the bank's client countries. Mendoza lamented how the AFP allotted more than P800 million on dubious procurement of bond paper, while an ordinary soldier gets only P12.50 in daily subsistence allowance and makes do with substandard combat boots and uniform and bullets that fail to fire. Mendoza, who was recently appointed commissioner of the Philippine Commission on Audit by President Benigno Aquino III, narrated how it took more than 16 years for the government to prosecute a governor of the Autonomous Region for Muslim Mindanao for misusing some P25 million funds intended for rural infrastructure. "When I started my audit, I was pregnant, and by the time the Supreme Court rendered a decision on the case, my child was more than 16 years old already," she said. Mendoza related her experience of being slapped flimsy charges in court by powerful politicians to derail her investigative work. "The hard part is when an auditor is charged in court because he or she does not get any support from the agency, and then left to fend for himself or herself," she said. In her case, Mendoza said she was forced to go on leave and to hire a private lawyer to clear her name, using money she took on a salary loan. Stressing that fighting corruption is not the sole responsibility of government, Mendoza said the people should be involved not only by exposing the corrupt, but also by refusing to be part of any dishonest transaction. She said the public apathy and the oft-dysfunctional system of prosecution in the country contributes to corruption in society. Mendoza observes that even a person's excessive focus on the welfare of the family could lead to corruption, because some people in public office tend to fail to draw the distinction between what is public and what is private. "Love for family should be tempered by an even greater love for country and love of God," said Mendoza, who said it was the prayers and support of so many Filipinos that spurred her to pursue the truth and go after the grafters, even when it entailed grave personal risks. Mendoza thinks the Aquino administration is determined to weed out corruption by appointing known graft fighters in sensitive positions like the Department of Justice, the Bureau of Internal Revenue, and COA, among others. As new COA commissioner, Mendoza will have the actual chance to introduce the much-needed reforms she has studied during her long years as an auditor. For instance, she said there are proposals to subject to auditing all "pork barrel"—funds appropriated from the national budget to finance local or district projects in order to promote the reelection of politicians. These projects become a source of corruption in the form of overpricing or even "ghost" or non-existent projects. Some progressive-minded senators and congressmen are clamoring for the abolition of this so-called “pork politics” because it perpetuates political patronage. She also said that organizations like the World Bank and civil society should support the work of corruption fighters, in terms of providing training and creating the environment conducive to honesty and transparency in public transactions. Mendoza shot to national prominence this year after she resigned her job at the Asian Development Bank to pursue massive corruption charges involving former AFP comptroller Carlos Garcia, who admitted to laundering more than P300 million in public funds. As head of a special audit team assigned by then Ombudsman Simeon Marcelo, Mendoza helped prosecute retired Major General Garcia in his plunder case in the Sandiganbayan. Mendoza blew the whistle on how Garcia stashed away millions of military funds in his personal accounts. Mendoza said it was a lonely fight when she testified in the Sandiganbayan, with only her and her husband attending, during which time she was called a liar by Garcia, along with a threat, “there is a time for reckoning." 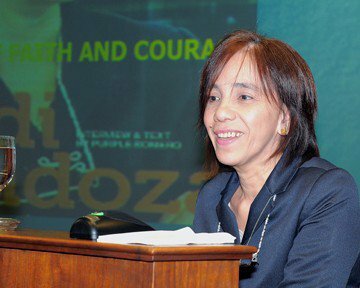 After Marcelo resigned, the case hit a wall, and Mendoza decided to resign after she failed to get the support of her superiors at the COA. But things turned around when Garcia’s plunder case was reduced to bribery and money laundering as a result of a questionable plea bargain deal with the Office of the Ombudsman last year. Mendoza resurfaced and testified before congressional hearings on the plea bargain deal. The Garcia investigation was actually triggered by events on December 18, 2003, when US Customs agents at the San Francisco International Airport seized $100,000 in cash from Garcia's two sons—Filipino Americans Juan Carlo and Ian Carl—who hid the money in their carry-on luggage. The brothers explained in identical letters that they brought the money at the request of their parents to pay the tuition and registration fees of their New York-based brother, Timothy Mark, who was accepted at Parsons School, and to pay the initial down payment of a condominium unit near the school. Pork barrel recipients in the Philippines: be careful, be very careful. Heidi Mendoza, newly appointed commissioner said the Commission on Audit (COA) is putting into place mechanisms to examine the pork barrel allocations of members of Congress to bring transparency to a process that has been mired in corruption almost from its inception. She declined to give details or discuss when the audits would start. Mendoza, invited to attend World Bank discussions on corruption, told a forum attended by mostly Filipino bank employees that the COA was planning to set up a legal fund to take care of the legal expenses of government auditors so as not to inhibit them from doing their jobs. She said as part of concerted efforts by President Aquino’s administration to fight corruption, a bill has been filed in Congress to strengthen the Anti-Money Laundering Council (AMLC) to give it more teeth to investigate and prosecute money laundering offenses. A press statement issued by the organizers of the World Bank discussion on “Effective auditing as the bane of grand corruption” described her as a career public official who works tirelessly to identify and root out corruption. Unable to pursue the case (against Garcia) through the COA, she spoke out to the public, risking her life and career, and her testimony ultimately led to formal charges being filed against Garcia, the statement said. Mendoza was greeted enthusiastically by World Bank employees when she walked into the conference room accompanied by Sheila Coronel, professor of Investigative Journalism at Columbia University and former executive director of the Philippine Center for Investigative Journalism. 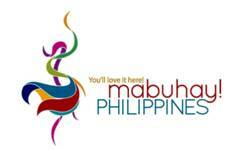 “Mabuhay ka,” shouted the Pinoys. Mendoza spoke of the challenges and difficulties and temptations that have faced her over the years in her battle against corruption. In the early 1990s, she said, during an audit of the governor of the autonomous region of Mindanao, she was offered half-a-million pesos for every time she did not attend a court hearing. Before flying to Mindanao she was told she would either end up dead or become rich. “I was not given the opportunity of choosing an option,” she said in a light vein. WASHINGTON DC - The government will tighten the auditing of public funds, including the pork barrel of legislators to ensure they are being spent properly, newly-appointed Commission on Audit (COA) Commissioner Heidi Mendoza told World Bank officials on Thursday. “We have started some public finance reforms. This is coupled with a partnership between the Department of Budget Management and civil society in order the open up the budget process because corruption really begins at the allocation of resources,” she said. 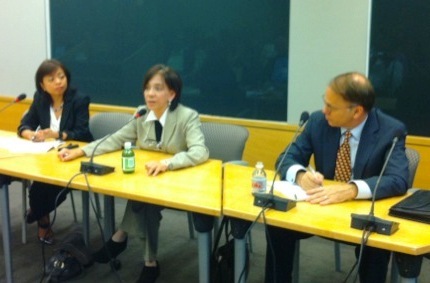 Mendoza was the special guest in a 2-hour talk on “Effective Auditing as the Bane of Grand Corruption” at the World Bank. The event was moderated by Sheila Coronel, director of the Stabile Center for Investigative Journalism at Columbia University. “The congressional insertion funds – the pork barrel has never been audited rightfully,” Mendoza said. She begged off from providing additional details, but indicated this was part of reforms the COA wanted to implement. Mendoza led the team that ferreted out the diversion of Armed Forces of the Philippines (AFP) funds meant for United Nations peacekeepers and soldiers joining the “Balikatan” war games with the United States. Her Senate testimony helped shed light on funding anomalies in the military that she insisted today remains one of the most corrupt government organizations. The World Bank was eager to hear Mendoza because corruption remains one of its key concerns all over the world. The WB pursues a 5-point anti-corruption strategy centered on increasing political accountability, strengthening civil society participation, creating a competitive private sector, institutional restraints on power and improving public sector management. “One of the challenges in fighting corruption is to answer the question why are there people like Heidi,” said Rick Messick, senior operations officer of the World Bank’s Department of Institutional Integrity. “It’s easy to see why (there’s corruption) in countries where there’s a lot of corruption and a government job is the difference between a middle class lifestyle and near starvation. I can understand the pressures. But what I don’t think we understand very well is why do people like Heidi who face circumstances like that continue to do the right thing. When we know what not makes people corrupt, what makes civil servants honest then I think we have a shot,” Messick explained. “The fact there was someone who actually found it, that they were able to publish the results bringing them to the attention of the public and senior officials and of course the really big step was something was done about it. That’s what makes the difference in the Philippines,” he declared. Mendoza conceded: “Among Filipinos, it runs against our culture to blow the whistle on our neighbor or our relative that’s why we’re looking at the possibility of doing a community whistle-blowing." She cited the example parents associations who can blow the whistle on corrupt school or education officials. “The kind of support we really need is community support,” Mendoza said. Her supporters raised some money for an “integrity fund” to provide for her family’s financial needs but which Mendoza never used. She now wants to use the fund for future whistle-blowers. She also wants to establish a legal defense fund for state auditors and cited her own experience when she was forced to take out a bank loan to pay for a lawyer when one official she audited sued her. She said hailing COA auditors to court was a favorite tactic of officials with skeletons to hide, and yet, Mendoza complained, there is no budget for the auditors’ legal defense. The COA will push for a bill, about to be filed in the Senate, that will strengthen the existing Anti-Money Laundering Law. There were times when Mendoza’s tale brought her audience close to tears, as she related her early encounters with powerful government officials – once forcing her to flee a hotel with only a bath towel because a henchman had caught up with her when she was in the shower – to the toll her work took on her family. But it was all worth it, she insisted. “I’ve been receiving a lot of letters from soldiers and even the wives of the foot soldiers are very happy. In fact they wanted to go to the Senate and thank (former AFP budget officer Col. George) Rabusa and me, and they also wanted to get back at some of the generals because they said while they were shopping in the US, we were borrowing money to be able to cook some rice,” Mendoza revealed. As school children, she disclosed, her father would put some money in an old can and leave it by the door. Each of the kids would take what they needed as they walked off to school. Mendoza said she never took more than what she needed because she realized doing so would mean one of her siblings won’t have lunch that day. That is a lesson, Mendoza says, she never forgot. For those in the US, The report will come out in Balitang America, the primary newscast of ABS-CBN The Filipino Channel (North America). Heidi Mendoza was known as a thorough and effective auditor in the Commission on Audit (COA), having uncovered the misuse of public money in dozens of cases. In 2005, the outcome of her efforts in a financial audit of the Armed Forces of the Philippines (AFP) culminated in a report detailing major corruption amongst senior military leaders. The Report was submitted to the Ombudsman where it languished for several years. Out of disappointment, Ms. Mendoza resigned from COA , the country's Supreme Audit Institution. In late 2010, the case involving the former Comptroller General of the Army was brought before the Sandiganbayan, the court that deals with cases involving graft and corruption in Government, which resulted in a plea bargain agreement. This decision so outraged Ms. Mendoza that, despite risk to her life, she decided to go public with her detailed knowledge on the case. As reported by the Philippine Daily Inquirer, "Mendoza, a former government auditor, gained national attention after she spoke out against the plea bargain and appeared as the key witness before Congressional hearings on the case. . . The former Comptroller General was earlier charged with plunder, but was able to post bail and walk out of jail because of the plea bargain." The Philippines has a reputation for career public officials who work tirelessly to identify and root out corruption. Ms. Mendoza is one of those people. Unable to pursue the case through the COA, she spoke out to the public, risking her life and career. The Philippine Congress recently held hearings to discuss Ms. Mendoza’s findings. There, she was able to show her credentials as a corruption hunter and make public the allegations and evidence for a compelling case of grand corruption. Ms. Mendoza’s testimony has ultimately led to formal charges being filed against former senior military officials. What could have been the end of her career, has turned out to be only the beginning. Inspired by her passion for justice and her commitment to stopping corruption, Philippine President Benigno Aquino III recently appointed Ms. Mendoza to serve as Commissioner of the Commission on Audit (COA) where she will be able to help reshape processes of and strengthen the performance of the institution. Come hear Ms. Mendoza’s story told as never before – directly by Ms. Mendoza. She will be joined on the panel by Sheila Coronel, Professor of Investigative Journalism at Columbia University and former Executive Director of the Philippine Center for Investigative Journalism (PCIJ), which has produced many important and influential investigative reports that have led to charges of corruption against public officials including a former President (who was eventually impeached and indicted). Also joining will be Rick Messick from INT who has been involved in assisting corruption fighters in Bank client countries in situations similar to Heidi's.